The companies that are subjected to regulatory compliance are often required to store and archive the logs from various part of their infrastructure such as applications, firewalls, VPN and servers. Most of the network devices support Syslog and if you have any syslog server in your environment you should be able to view, collect and archive the syslog data. Kiwi Syslog server is one of the best tools available in the market. Windows servers do not have a syslog client by default and usually all the system related warnings, alerts and information are stored and displayed in the Windows Event Viewer. Event viewer allows exporting of data locally in different formats for review. However, in an enterprise environment, there is no tool exists to automate the collection of event viewer from a centralized location. One great solution for this is using software called ‘winlogd’. Winlogd converts the windows event viewer logs into syslog and send it to the syslog server. Winlogd installs itself as a windows service and requires a registry edit to specify the syslog server IP. It can be easily pushed to all the servers in an enterprise environment using a .reg file. Once the syslog server can receive the data from servers, it can be viewed and archived for compliance purposes. One limitation of Winlogd is it doesn’t allow filtering the window event viewer logs. So, all the data that is going to Windows Event Viewer (including ‘information’) will be sent to syslog server. If you have many chatty servers that would cause lot of informational event logs, it may generate tons of syslog data and network traffic. I’m hoping that winlogd community will fix this in their next release. Nevertheless winlogd is a great tool! In case you have not started using SCCM (System Center Configuration Manager) from Microsoft, we would strongly encourage you to take a look. MSFT also has two virtual labs to help you become familiar with it – one an introduction to SCCM and the other one deals with upgrading from Systems Management Server 2003 to SCCM 2007. SCCM can also be used to create fully managed, totally un-attended deployments to remote machines. We have a client who has offices in 3 cities with their IT department in one central location. They had a need to deploy Windows Server 2008 across the offices. Using SCCM 2007, they were able to identify the machines that met the hardware requirements, distributed the OS source files to all the computers, did the installation and did the monitoring and troubleshooting – all remotely. Everything is laid out in a step by step fashion. Did my very first installation of SQL Server 2008 with an active/passive cluster. Wanted to share the resources that I used for making this happen so that you also have these handy in case you need to install a cluster. This was a SQL Server 2008 install on Windows 2008. BOL: Getting Started, installing a cluster. MSSQLTips.com articles: Part 1 , Part 2, Part 3 and Part 4. Yan Pan’s articles – Part 1, Part 2 and Part 3. Ross Mistry and Hilary Cotter’s book – here. These books are not yet released but are on my list to purchase – both are being written by Industry experts and Microsoft MVP’s – having read Allan’s previous books on this topic, am sure that this one will be a great one as well : Allan Hirt’s SQL Server 2008 Failover Clustering book and Michael Otey’s book on Clustering and Database Mirroring. Almost everyone who has worked on windows for some time has used Terminal Services and Terminal Services Manager at some time in their work. Instead of always using the GUI in order to terminal serve into machines, one can create rdp extension files in order to store that information or one can also make use of the command line in order to make those connections. In this post, we will show how to do both. All the options are pretty much self explanatory. The most useful ones that we have found are the connection file, console and the /v:<server[:port]> options. Once you have made all the necessary changes, you can then go back to the General tab and click on Edit to edit the credentials that are needed for connectivity for that RDP file or you can choose to always prompt for credentials. The advantage of having the RDP files is to ensure that everyone uses the same settings and the files can be shared across team members. Using the command line also allows more flexibility by making use of options like /admin or /console etc. Download Remote Desktop Connection for Windows XP x64 Edition – here. 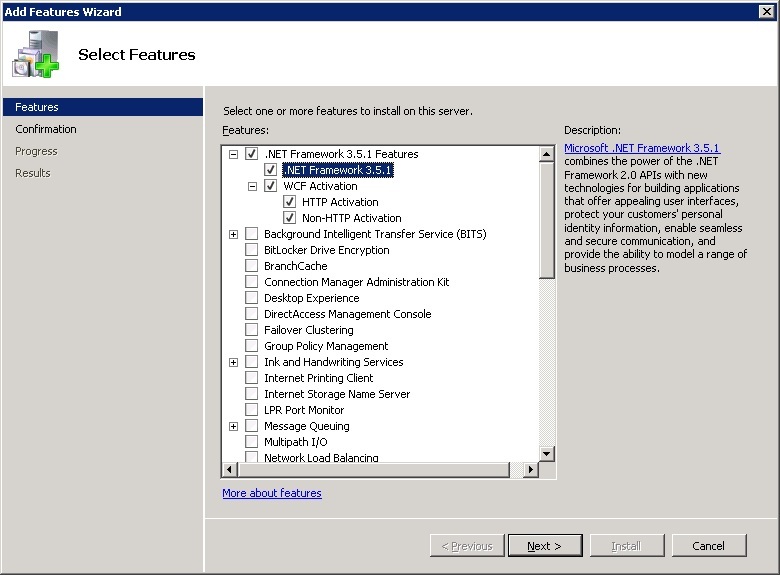 Technet Performance Team blog post – here. It explains that as of Vista SP1 and Windows 2008 also, the /console switch no longer gets you to the console session – you need to use the /admin switch instead. Shijaz Abdulla has also covered this in his post here.